Senegal international Papy Djilobodji has finally reported to the Black Cats more than two months after he was expected back for pre-season training. 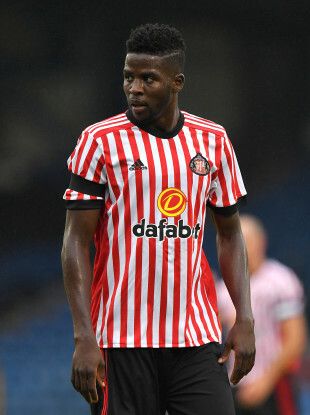 PAPY DJILOBODJI HAS received a frosty reception from Sunderland after returning to the club. The former Chelsea defender spent last season on loan at Ligue 1 side Dijon after being bought by David Moyes for £8 million in 2016, but failed to report for pre-season training with Jack Ross’ side. While Sunderland have made a strong start to life in League One – they lie fourth in the table, undefeated after six games – Djilobodji has been notable by his absence from the Wearside club’s ranks. Now that he has finally made his way back to the side, 72 days after he was expected to return, Sunderland have revealed that they are seeking legal advice over the 29-year-old’s conduct. In a statement issued via the club’s official website, they state: “Sunderland AFC would like to issue supporters with the following update on defender Papy Djilobodji. “Papy Djilobodji has returned to the club, late and having missed pre-season and the opening month of the season proper. “The club is taking legal advice on the situation, and the player has been undergoing fitness tests, to assess whether he has returned to the club in a state to play professional football. Senegal international Djilobodji was a surprise signing at Stamford Bridge after five years in France with Nantes. He failed to make a Premier League appearance for the Blues and was shipped out to the Stadium of Light after just one season, the second half of which he spent at Werder Bremen. Controversy followed the centre-back to Germany, as he was banned for three games for making a throat-slitting gesture made towards an opponent. Sunderland were relegated with him in their ranks and then dropped down to League One when he was back in Ligue 1 last term. Email “Ex-Chelsea defender faces the sack after turning up at Sunderland 72 days late ”. Feedback on “Ex-Chelsea defender faces the sack after turning up at Sunderland 72 days late ”.